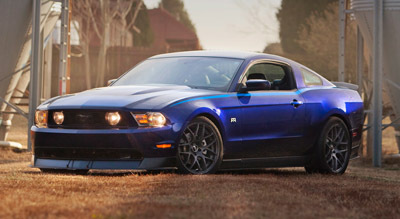 You asked for 2011 Mustang Prices and more and you got it! The 2011 Mustang is out and tearing up the roads and I've been asked several times about Mustang pricing. The new Mustang breaks ground with it's all new 5.0 liter Coyote V8 engine, which produces an advertised 412 horsepower. Recent dyno testing suggests its more likely in the 450 horsepower category. When I asked the rep at the Vancouver Auto show this spring, he said "well, we've traditionally erred on the low side". That's not the only story. The all new V6 option, jumps up to a huge 305 horsepower, from last year's 210 horsepower. And gas mileage jumps up to an amazing 31 mpg on the highway. As you'd expect, there are some good deals out there (and some not as good), so I've provided a link to some sources for 2011 Ford Mustang cars and current prices. You might think that 8 choices would be enough, but with Ford's pony car heritage dating back some 45 plus years, there are a number of special edition cars and of course the iconic Shelby Mustang. Way too much for one single page. Not to worry though, the 2011 Mustang section has links to every special edition for the 2011 model year, as well as the GT500, Gt350, 2011 Dub Edition and other "specials". You'll also find Mustang specs, gas mileage / mpg, pictures, dyno test results and more.